Below is an interactive glossary including all of the terms OSHA has defined in their Hazard Communication 2012 Standard, which aligns the HazCom Standard with the Globally Harmonized System (GHS). Hello, friend! 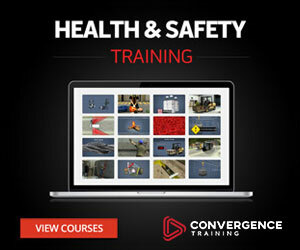 And welcome to another Convergence Training blog post with a free checklist that you can use as part of your company’s health and safety efforts. This time, the checklist is for machine guarding. 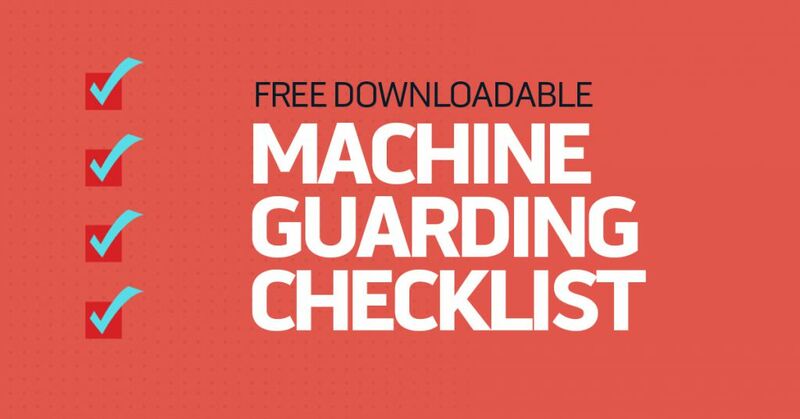 Read on for more information and to download the free machine guarding checklist. And, we’ve got more free downloadable checklists on other safety topics here. Note: An earlier blog post gave some tips for setting up effective on-the-job training (OJT) programs at work. It’s not necessary to read that post before reading this one, but if you want to, it’s there for you. If you’re giving some thought to the best ways to implement an OJT program at work, you’re already making some good initial steps. 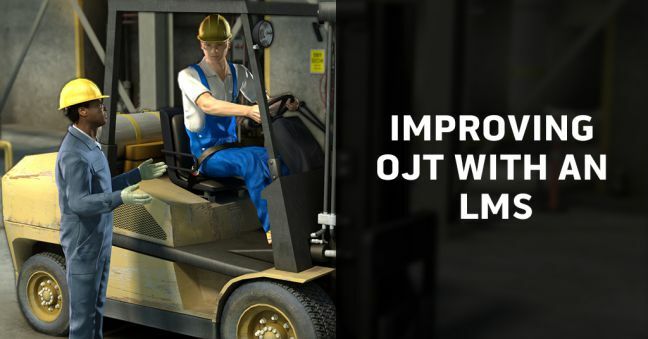 But have you thought about how your OJT program could benefit if you use it in combination with a learning management system (LMS)? In this article, we’ll take a look. We recently wrote a post to help you comply with the new labeling requirements mandated by the Hazard Communication/HazCom 2012 alignment with the Globally Harmonized System (GHS). There are several hazards that aren’t covered by the new labels. Hazards like pyrophoric gases, simple asphyxiants, and combustible dusts have their own unique requirements. Others have been grouped together and labeled as “Hazards Not Otherwise Classified.” In this post, we’re going to talk specifically about the requirements for pyrophoric gasses, simple asphixiants, and combustible dusts. We recently wrote a post to help you comply with the new labeling requirements mandated by the Hazard Communication/HazCom 2012 alignment with the Globally Harmonized System (GHS). If you missed that post, you can read it here. In this post, we’re going to give some information on what OSHA calls “hazards not otherwise classified,” or HNOC. In addition, you may want to read our other post addressing HazCom requirements for pyrophoric gases, simple asphyxiants, and combustible dusts. The results from OJT training involving shadowing can be mixed at best. In some cases, job knowledge is transferred effectively, and the less-experienced worker ends up being able to perform all of the necessary job tasks. In other cases, though, things don’t go so well, and workers are left without the knowledge, skills, and abilities necessary to succeed at their jobs. Obviously, companies can’t afford to have OJT programs that don’t effectively train their employees. Plus, it puts the employee being trained in an unnecessarily difficult spot. But what can be done? Below are some tips to get your OJT programs headed in the right direction. They’re not the full story, but they’ll get you moving forward and making progress. If you’ve studied different ways to make the training at your work place better, you’ve probably noticed a few things. The first is that a lot of the ideas are presented in difficult, specialized language that you wouldn’t hear at the water cooler. And the second is that it’s not always clear how to put these different ideas to work. And hey, to expand that, maybe you’ve noticed that employees often don’t remember or apply the training on the job. Let’s see if we can help you with those problems so you can make your job-training programs better. Specifically, we’ll list and define six adult learning principles and give you some tips on how to put them to work in your training. 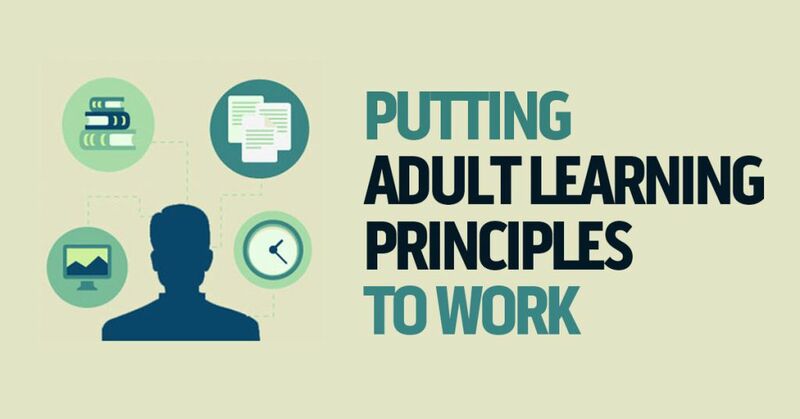 Understanding adult learning principles will help you create training materials and a training program that helps adults learn. Without this understanding, your training program won’t be as effective. Once you’ve got these adult learning principles down and know how to use them while designing, developing, and delivering training, there’s more to learn and do. But this is certainly a great place to start. We’re preparing for the upcoming release of Convergence Mobile, our tablet-based mobile training solution. Designed to integrate seamlessly with our Convergence Learning Management System (LMS), Convergence Mobile is an essential on-the-job training tool. Convergence Mobile puts information in the hands of workers in the field, leading to decreased downtime and production expenses, and makes it easier to train workers in their work environment, which cuts the cost of training while at the same time making it more effective. If you’re Convergence LMS user, you’ll soon be able to add this fully-integrated mobile component to your training program. And if you’re not yet a Convergence customer, the addition of Convergence Mobile to the powerful features in Convergence LMS should open your eyes to a whole new world of training opportunities. Work Performance Support Delivery: Use the tablet’s built-in barcode scanner to view a list of any training activity or reference material related to a machine or work area and then view that material instantly. Get access to the information you need when you need it most—on the job. On-the-Job Training (OJT) Skill Demonstrations and Approvals: With Convergence Mobile’s Instructor Tools, a supervisor can give credit to an employee for properly demonstrating skills, procedures, or knowledge in the field. The supervisor can check the employee after each item is completed, and both the employee and supervisor can sign a digital document to confirm the training is complete. Training data is automatically synched with other employee training records in Convergence LMS. Fully Automated Training Verification: Create training activities that ask employees to identify machines, machine components, or work areas. Then let the employee take the Convergence Mobile tablet in the field and use the built-in barcode scanner to complete the identifications. Let Mobile save your money by freeing up supervisors for more important jobs. Full PC Functionality: Convergence Mobile isn’t just a learning device; it provides you with a modern, wi-fi-enabled, touch-screen PC running Windows 7. If you can do it on a laptop, you can do it on a tablet. Send emails, write notes, update spreadsheets, and surf the internet. Flexible Hardware Options: Convergence Mobile can run on any Windows-based tablet. From rugged, shock-proof workhorses, to slim, lightweight portables, run Mobile on the hardware most appropriate for the job. Convergence Mobile will begin to be available to current Convergence LMS users beginning in December 2012, with a full release date planned for early 2013. Stay tuned for updates. Many workplaces struggle to find an effective, efficient way to provide site-specific orientations to contractors who will work on their site. Confirming that contractors who arrive on site are properly trained, and maintaining accurate, up-to-date records of training, are equally challenging. Fortunately, you can work with a training provider to create your orientation materials for you, and they can set you up with an online system that allows you to administer the whole thing online, including deliver the orientation to your contractors online and run reports to see who’s done and not done online. 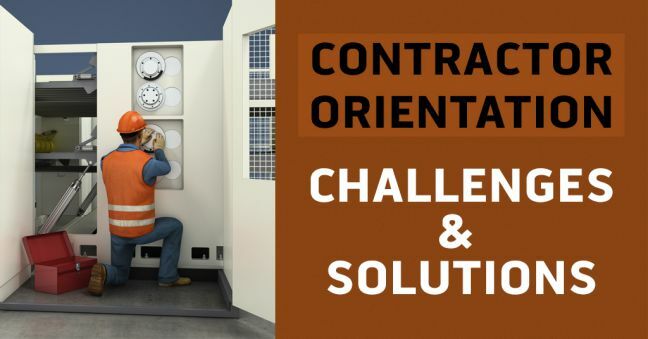 Let’s look at some of the challenges in trying to provide contractor orientation (or visitor orientation) on your own, and then list some things you should look for in a contractor orientation provider. When I’m not at work, I read a lot of stuff directly related to my work. This includes lots of books on instructional design, training, learning and development, and performance improvement. And it includes books on safety and safety management. And on manufacturing, maintenance, and reliability. Sometimes, though, I like to kick back and read something different. I even retreat into the pure escapism of a novel sometime (most recent novel, as of October 31, 2018: The Song of Achilles). But ignoring the occasional novel, even if a book I’m reading isn’t directly related to my work, it’s often indirectly related. And that’s the case with a book I just finished: Better: A Surgeon’s Notes on Performance, by Atul Gawande. 2011 was one of the top 15 hottest years on record. In the contiguous United States, for the period from June 2011 to June 2012, temperatures have been the hottest on record. Higher global temperatures increase the chances of extreme weather, like the severe drought that was seen in Texas this year, and the unusually high heat in England. An increase in global temperature will lead to a higher likelihood of heat exhaustion and heat stress, so it’s important to recognize these hazards if you’re supervising outdoor workers, or if you are an outdoor worker yourself. High heat can cause body temperatures to rise to dangerous levels if precautions aren’t taken. Heat illnesses can range from heat rash and heat cramps to heat exhaustion and heat stroke. Heat stroke can result in death. Convergence Training has a 13 minute video course meant to raise awareness of heat illnesses. Click here for a full description of our Heat Stress Causes course.